Some of the jewels found while researching: Lake Texhoma – Built by German POWs until completed in 1944. POWs housed at Tishomingo and Powell and later at the dam site. – Corp of Engineers website Garden Club and houses Ardmore – First built Carnegie Library in Oklahoma when its was still Oklahoma Territory, 1903. 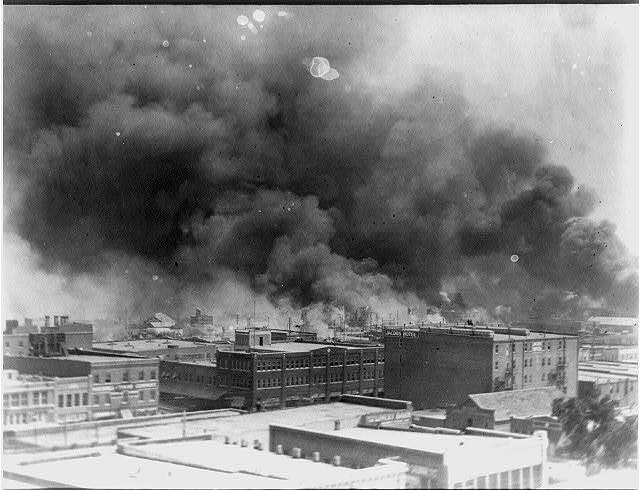 The evening of May 31, 1921 was not an ordinary evening for most people in the Greenwood District of Tulsa.